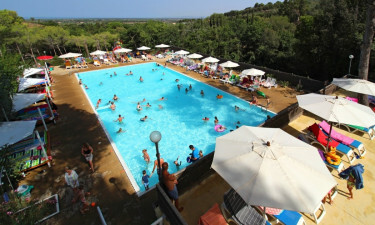 Le Pianacce Campsite is a leading LUX-camp that is situated in the picturesque region of Tuscany. Guests who book a mobile home at Le Pianacce Campsite will find that they are perfectly placed to explore the beautiful sandy beaches, gently rolling hills and charming towns and villages of this region. As there is so much to do on the site itself, there will never be a dull moment. 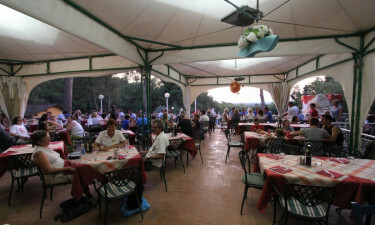 What Makes Le Pianacce Campsite So Special? Young children are sure to have fun in the onsite Spray Park, which contains a large number of sprinklers as well as other water features. The site also boasts a large outdoor swimming pool that is surrounded by sun loungers; guests will be able to spend endless hours soaking up the sun here and cooling off in the inviting waters. 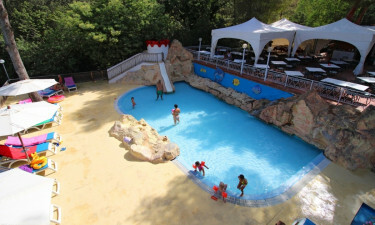 Dogs are also welcome to enjoy the fun of a camping holiday at Le Pianacce Campsite. Not only are they allowed inside the rented mobile homes, but also a special green area has been designed - with the needs of dogs firmly in mind. This dedicated green zone features a large lawn for dogs to run around on, special showers and even educational workshops that are designed to teach people about dog care and nutrition so that can provide the perfect care for their precious pooch. 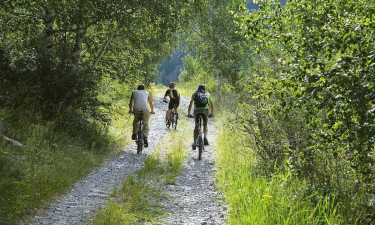 This enchanting part of Tuscany is ideal for exploring by bicycle. The area surrounding the luxury camping site features a large number of medieval towns and villages that are just waiting to be explored. These can be easily reached by hiring a bicycle from the stand on the site and cycling through the countryside. A beautiful sandy beach can also be found around five miles away and visitors will be able to enjoy cycling along the coast to this long stretch of golden sand. Sampling traditional Tuscan cuisine at the onsite restaurant is an experience that people who book a bungalow tent at Le Pianacce Campsite will not want to miss. All of the dishes that are served here are created using fresh local produce and among the treats that are waiting for diners to try are classic pasta dishes and pizza. Those with a sweet tooth will want to make sure they sample the choice of desserts. Putting together a picnic to take along on a cycling trip is very simple; guests will be able to find everything they need at the onsite supermarket. Freshly baked bread is sold here each morning along with other Italian products such as salami and cheese; the shelves are also stocked with packets of biscuits and other snack food for visitors to sample as they unwind in style.